Platelet-rich plasma (PRP) therapy involves the injection of the patient’s own platelets and fibrin for the cosmetic treatment of wrinkles or scars in the face, hands, and neck. Known to some as the “vampire facelift” (a term trademarked by Alabama cosmetic surgeon Charles Runels), it is less invasive than plastic surgery, takes about 20 minutes for each treatment, and offers improvements for up to 18 months. The cost of the procedure is generally similar to that of fillers and may range from $600 to $1800 per treatment. However, the efficacy and safety of PRP for cosmetic treatment have not been studied in controlled clinical trials. To learn more about the role of PRP therapy in cosmesis, Medscape interviewed Alan Matarasso, MD, and Lauren Zeifman, rPA-C, both in clinical practice in New York City. Dr. Matarasso is Clinical Professor of Plastic Surgery at Albert Einstein College of Medicine and has hospital privileges at numerous New York City medical institutions, including Manhattan Eye, Ear & Throat Hospital and New York Eye & Ear Infirmary. His contributions to many areas of aesthetic surgery include pioneering advances in surgical and noninvasive techniques. He is widely published and is the senior scientific editor of the Aesthetic Surgery Journal. Medscape: Please define the PRP therapy procedure for improving facial appearance. Dr. Matarasso and Ms. Zeifman: Selphyl® (UBS Aesthetics; Bethlehem, Pennsylvania) is a patented system for safe and rapid preparation of platelet-rich fibrin matrix, which is a type of regenerative medicine that uses platelets to rejuvenate the skin. Medscape: What is the rationale behind the use of PRP therapy to improve facial appearance? Dr. Matarasso and Ms. Zeifman: A steady trend over the past 15 years has been for patients to seek less-invasive procedures for facial rejuvenation. Selphyl has been used by surgeons over the past 7 years to speed up soft-tissue healing from sports injuries as well as to treat burn victims and patients with severe ulcers. It is also used as an adjunct to implant therapy in dentistry. Selphyl is now being used cosmetically to treat volume loss in the face, hands, and neck — particularly the crepey skin under the eyes and neck — as well as wrinkles, acne scarring, and stretch marks. Medscape: By what mechanisms do injections of PRP restore facial appearance? Dr. Matarasso and Ms. Zeifman: Platelets play a role in stopping bleeding and in repairing damaged blood vessels and cells in the body. Platelets also contain substances called “growth factors” that activate and rejuvenate cells in our body. Unlike fillers that use various synthetic substances, Selphyl uses the patient’s natural biology to address skin defects and volume loss, triggering production of new cells and collagen formation. Medscape: How long does the procedure take, and how is it performed? Dr. Matarasso and Ms. Zeifman: This cutting-edge rejuvenation is a quick 20-minute procedure. After 9 cm3 of blood (approximately 1 vial) is drawn from the patient, it is spun down in a centrifuge for 6 minutes at a precalculated speed to retrieve the most viable fibrin and platelets. After centrifugation, the platelet and fibrin component of the blood (the top layer) is extracted and reinjected into the area of concern. Medscape: What type of results can generally be expected? Dr. Matarasso and Ms. Zeifman: The results are subtle, with gradual improvement in the injected area over a 3- to 5-week period. Full correction occurs at 4-7 weeks and can last as long as 18 months. Medscape: What are the risks or complications? Dr. Matarasso and Ms. Zeifman: Because this filler is made from the patient’s own blood, there is no risk for rejection, infection, or an allergic reaction. Medscape: For what types of patients is this procedure most and least suitable? Dr. Matarasso and Ms. Zeifman: Any patient who wishes to reduce volume loss, fine lines, and textural changes of the skin are suitable for this procedure. It also appeals to the patient who is looking for a natural approach to volumizing the face and treating or reducing fine lines. Medscape: How long are the improvements maintained? If necessary, can the procedure be repeated, and if so, with what anticipated outcome? Dr. Matarasso and Ms. Zeifman: Selphyl can be repeated, and better results are seen with a total of 2-3 treatments given 3-4 months apart. Patients can expect to see better results as they receive more treatments. With time, the results of Selphyl get better and better. Medscape: How does PRP therapy compare with injections of filler, Botox(Botox® Cosmetic; Allergan, Inc; Irvine, California), or surgical facelifts? Dr. Matarasso and Ms. Zeifman: This procedure can be combined with dermal fillers, Botox injections, and laser surgery, as well as facial surgery. PRP builds tissue over time, whereas traditional filler breaks down over time. Medscape: In what situations might PRP therapy plus filler injections be helpful? 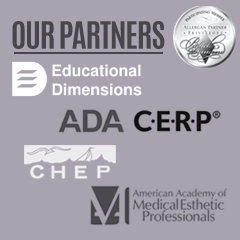 Dr. Matarasso and Ms. Zeifman: It is nice to layer Selphyl with traditional fillers. If a patient has volume loss with a lot of fine lines and textural changes, I like to inject Selphyl to create a new foundation of collagen and use dermal fillers for the fine lines. Medscape: What is your overall opinion of the role that PRP therapy should play in facial restoration? Dr. Matarasso and Ms. Zeifman: PRP therapy is very promising in facial restoration. Results are optimal when patients receive a combination of PRP, dermal fillers, and laser therapy. Platelet-Rich Plasma Procedure May Improve Facial Appearance. Medscape. Mar 06, 2012.